Monk, learn how music works! 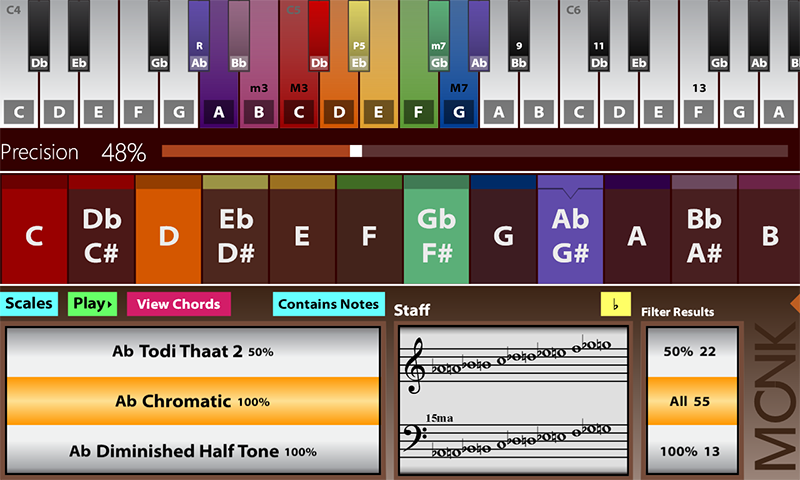 Monk is the new musical tool that will let you easily understand the inner workings of music. It has a huge library with lots of scales and chords for you to explore. No more secrets in music. 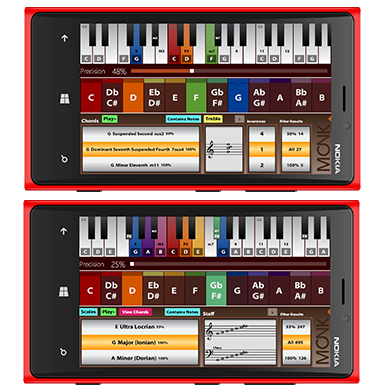 With its amazing user interface you will be able to rapidly get a glance of how notes are related inside any scale or chord. 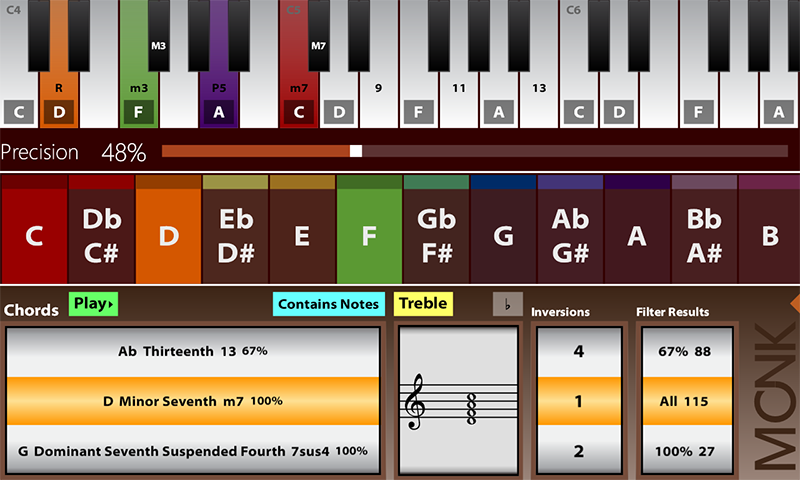 Transpose, change the scales, play with chord inversions, take a look at the staff, all in the same screen. No more complicated hidden menus. Every piece of information is available in the main screen for you to get the bigger picture. Learn new Scales, Chords. Transpose everything. 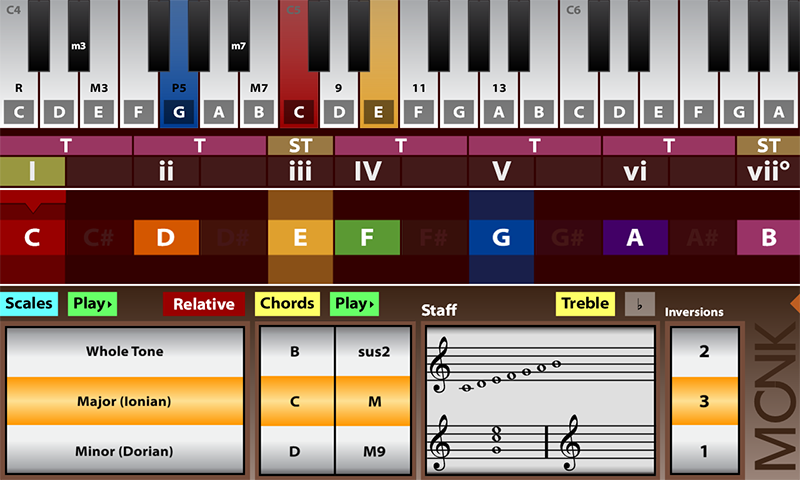 Monk allows you to easily see how scales and chords are composed and it also has support for modes, making it easier to find relative scales. 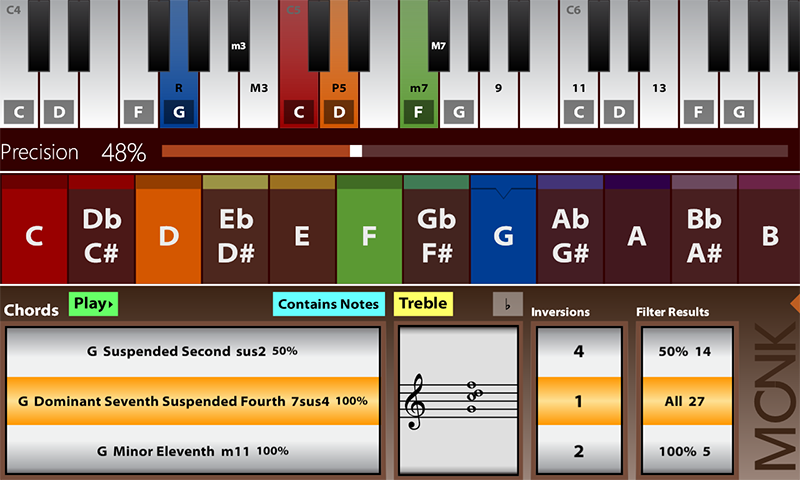 Discover new scales and chords with Monk's extensive library and transpose quickly any scale or chord. 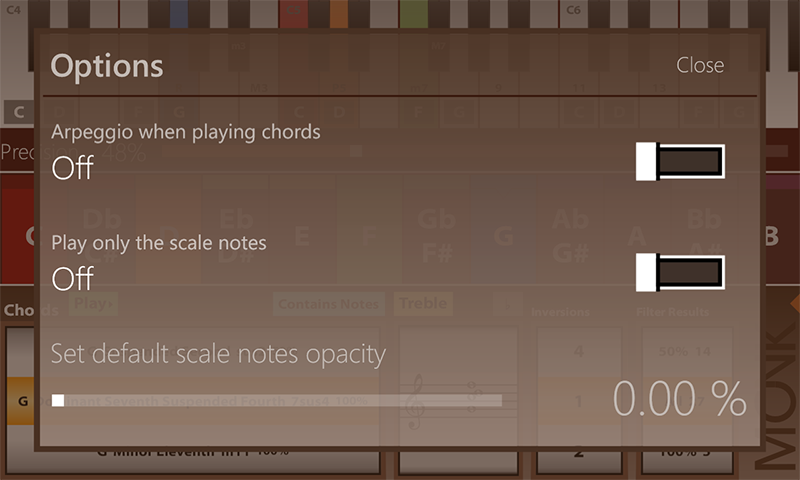 Find any Scale or Chord by selecting specific notes. 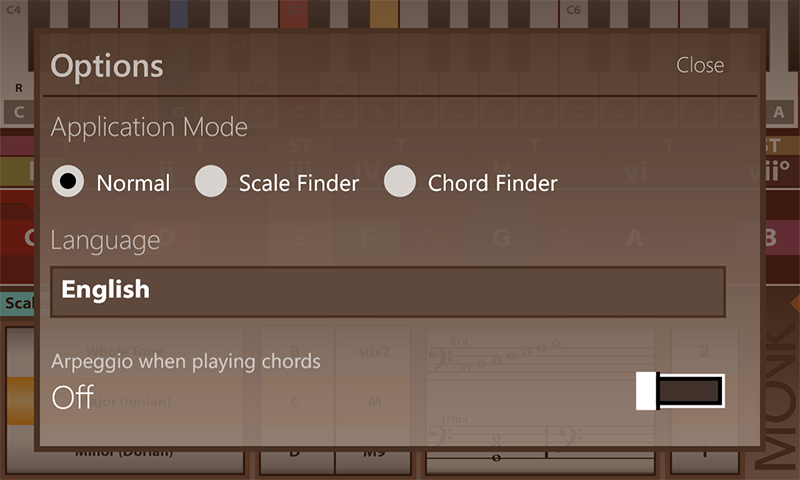 You will be able to select a specific accuracy to filter the search results and even select which note is the root of the scale or chord you're searching. Once found, play the scale or chord and listen to it. 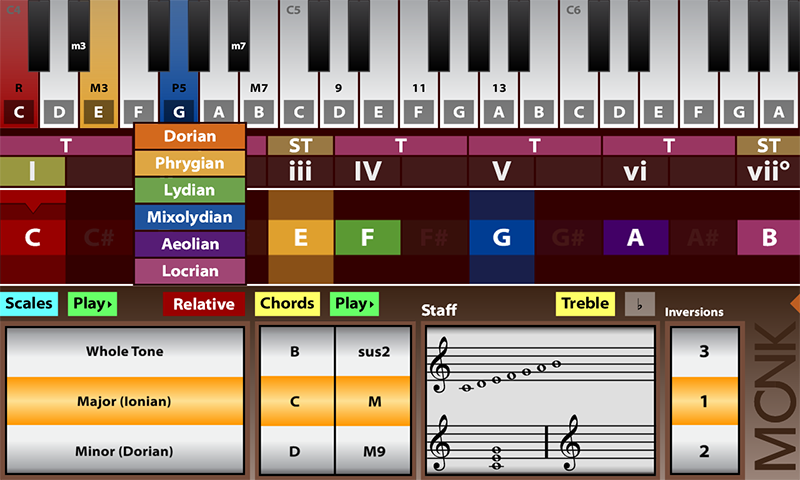 Monk lets you play all the notes in its multitouch keyboard. Enjoy some improvisation time! 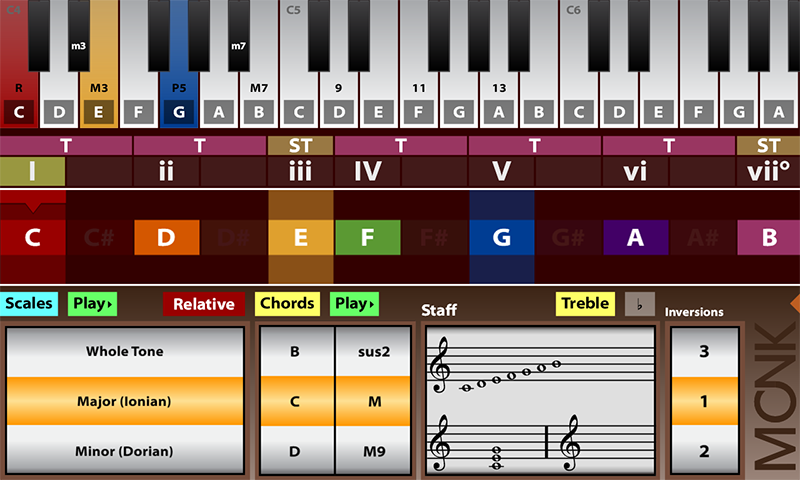 Plus, Monk offers you support for up to 5 chord inversions. 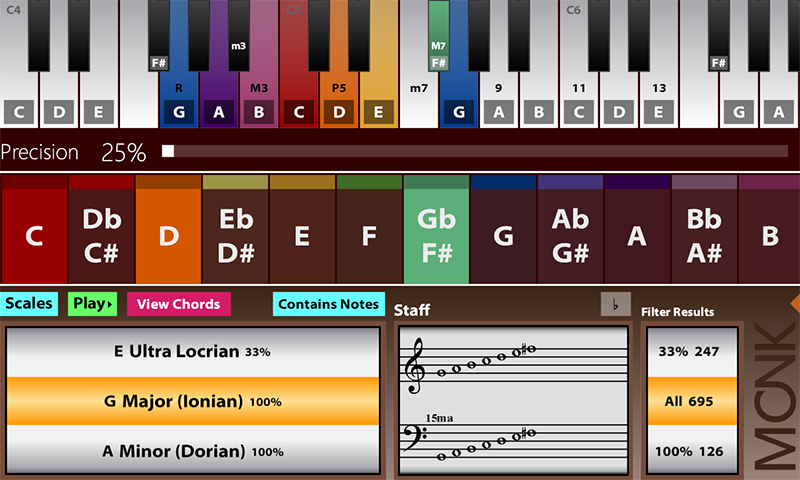 Monk has a staff where you will be able to see the notes of the scale, chord and key signature of the scale. 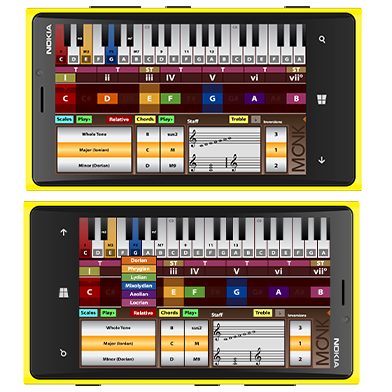 Monk has support for Bass Clef and you will be able to switch between Treble and Bass any time. 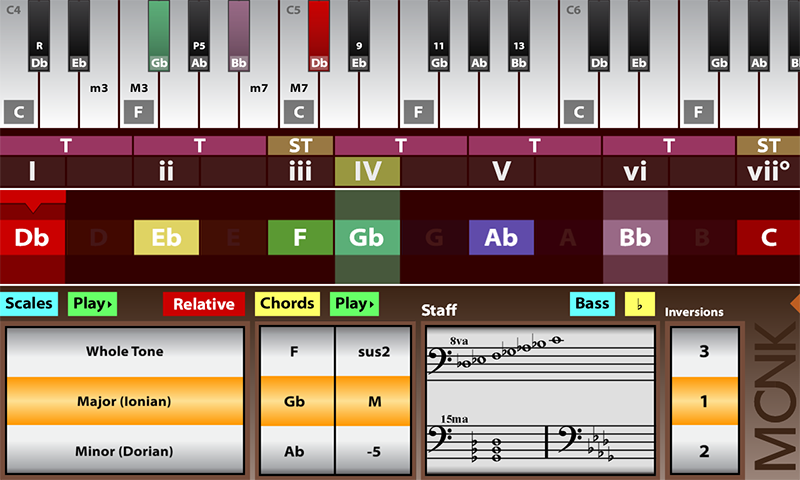 Visualize at a glance the intervals and degrees of any scale and access directly to the degree related chords.. 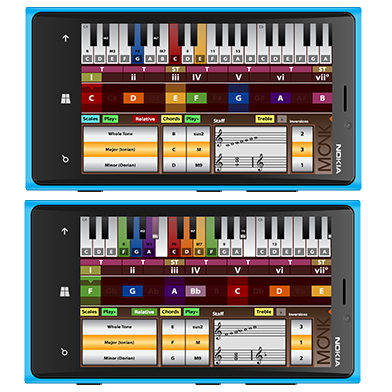 Available for Windows Phone 7 & 8.1, Windows 8.1, Android and iOS. 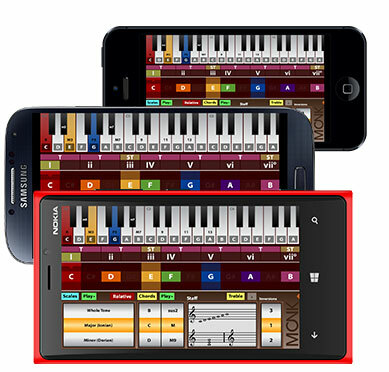 Limited to 7 Scales but all Chords available. Staff for Scales, Chords and Key Signatures. Support for Chord Piano Inversions. Support for alterations ambiguity resolution. COPYRIGHT 2014 CODECODING. ALL RIGHTS RESERVED.